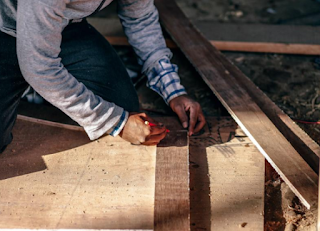 Making nearly six figures without a college degree might sound impossible - until one considers the remodeling industry. According to data from the National Association of Home Builders (NAHB), remodelers had an average net profit margin of 5.3% or $95,000 in 2015. Residential remodelers - that is is anyone who carries out structural alterations to an existing home, such as plumbers or contractors - reported an average of $1.8 million in revenue for 2015. Although 71.1% of revenue went to labor and material costs and another 23.6% went to operating expenses, many remodelers seemed able to make a decent living. This report comes in stark contrast to U.S. education statistics: 44.2 million Americans have student loans with about 11.2% of those loans going into delinquency. Moreover, only 60% of first-time, full-time students complete their bachelor's degree. While remodeling professions can involve hard work and long hours, remodelers are not saddled with college debt. Many continuing education programs are available for remodelers who would like to specialize, and most classes only take a few days to complete. This puts remodelers in control of their value - each investment in their trade education translates to profit. Besides saving time and money, remodeling professions are in high demand - the industry laments labor availability as one of its biggest challenges. It is worth noting that NAHB does not collect data on remodeling profits yearly; the last time that the remodeling data was analyzed in 2011, profits were only at 3.0%. However, the economy in general wasn't in great shape in 2011. The fluctuation of demand might be something to consider for trade work. However, remodeling is still an employment avenue worth exploring. There will always be a need for remodeling and renovations in residential homes. To learn more about remodeling and trade education, check out Zack Academy's courses. From contracting to construction and asbestos to lead, Zack Academy's trade courses can enhance your remodeling skill set.